Disclosure: This new pet Betta fish post was sponsored by PetSmart through their partnership with POPSUGAR Select. While I was compensated to write a post about PetSmart, all opinions are my own. The above was written on my blog almost 4 years ago. I have archived my earlier blogging articles including this one. But this was a big deal for our family back then. Plus, we will never forget it. Since then, we have also added a golden retriever dog, Elsa, to our family. So, we aren’t strangers to pets in our home. Because of this, we still are a PetSmart family. Because this is where we go for all our dog’s needs. This includes food, treats, grooming, training and more. Coincidentally on one of our most recent PetSmart visits, my girls ventured over to the fish side of the store. Then, they asked why we couldn’t get another fish. I was on the fence at first. But then I decided that they are a bit older than they were that first time out. Plus we all learned from our earlier fish encounter. Back then I knew Betta fish were the easiest to maintain. But I still stayed away from Betta fish. Because as a kid I had these type of fish. See I found out the hard way that Betta fish can go after other Betta fish. So, Betta fish usually cannot be left in the same bowl together for this reason. On a related side note, this is how I ended up with about 20 fish. Plus I had a huge fish tank to go along with them. Why? Because my father didn’t have the heart to tell me one of my Betta fish ate the other Betta fish. This time out, I actually ended up buying the girls one male new pet Betta fish for their hot pink girly fish tank. Thankfully at this point, we have had no real issues. Plus, our new pet betta fish happily has been with us for a few weeks. He bypassed its fish predecessors from a few years back by far. So, I am happy to share how we take care of our new pet Betta fish. 1. Pick out a new pet Betta fish. There are a few things to consider when choosing a new pet Betta fish. These include color, responsiveness, fins condition or just being drawn to one over the other. Honestly, I looked at about a dozen with the girls. And we couldn’t get past one pretty pinkish/red Betta fish. Why Because this fish appeared to be in good condition, as well as very animated, too. Also you don’t want to put two male Betta fish together at all for the aggressive, obvious reasons. Therefore, I caution just sticking with one Betta fish. Plus one fish to start with is more than enough pet in my humble estimation for young kids. 2. Make sure to have a proper home for it. They say a new pet Betta fish can live in a small bowl. But we decided to go with a small filtered tank that our Betta fish seems to be thriving in. See I feel that a bit larger for fish is a better as far as living space. So, that is why I recommend an inexpensive tank over a bowl. 3. Prepare the tank first. Make sure that after you add tap water that you run the filter for a bit before adding your new pet Betta fish. A cover isn’t necessary if you add at least 80% tap water. But better safe as a cover doesn’t hurt. Why? Because Bettas can be active and sometimes jump over 3 inches, as crazy as it sounds! Plus you will want to buy a water conditioner, such as Prime. This is fairly inexpensive, but helps removes chlorine from tap water. Also, try not to use bottled water. Because it deprives your Betta of necessary minerals. Plus it is not fish ‘safe’. So treated tap water is both a cheaper and better alternative. 4. Now you are ready to add your Betta fish. Slowly and carefully add your new pet Betta fish by tipping the container in which you received your Betta fish into the new tank. This allows the new water and old water to mix together. Also, this gives your Betta fish time to slowly acclimate to his new home and environment. 5. Feeding your Betta fish. Betta fish primarily eat pellets and only 3 once daily. They truly don’t eat much. Plus, they are pretty easy as far as feeding goes. This shouldn’t be done very often. Why? Because new pet Betta fish take time to acclimate to a new environment. But when you do, make sure to place your Betta fish in a container filled with old water while washing the tank. Simply wash the tank with hot water. Because soap can hurt your Betta fish. You also want to leave about 25% of the old water in the tank and fill the rest with treated tap water again. Once this is done, then you can return your Betta fish to the tank. 7. Have fun with your new pet Betta fish. Betta fish actually do come to know their owners. So it helps if you spend time in their presence and they are in a space where they have some face time with you. For this reason, we actually put the tank in our girls’ bedroom. Because they just love the added company, too. There you have it: 7 simple ways to make a Betta fish into a very low-key but new pet member of your family. Awww. We had some betas YEARS ago! Yay for Bettas and will say they are relatively easy to take care of in my estimation. Love fish as family pets! Aww, this made me miss our old Betta. He lived with us for several years and really did learn to know and love my son. It was devastating when he died. Thank you for these tips, I’m sure they’ll be useful to many families! Happy to share tips and very sorry, Christine to hear about your Betta fish, but thank you for sharing with me here today. Our Betta was a great pet!! We loved it! I needed this, I killed our betta. oops! Like I said been there and done that myself in the past, too! We are on Betta #2. Madison has always wanted fishes and we used to have a big tank when she was younger but no one wanted to take care of the fishes. I finally broke down around the end of last year and got her a Betta and left the responsibility of feeding to the kids. Big mistake. Betta #1 died and so I had to secretly replace #1 with #2. The good thing about Betta’s and gold fish, they are easily replaceable and you can’t even tell the difference, so she has no idea. Great guid for those wanting a fish. We’ve never had one and this is great to have because I’d have no clue! 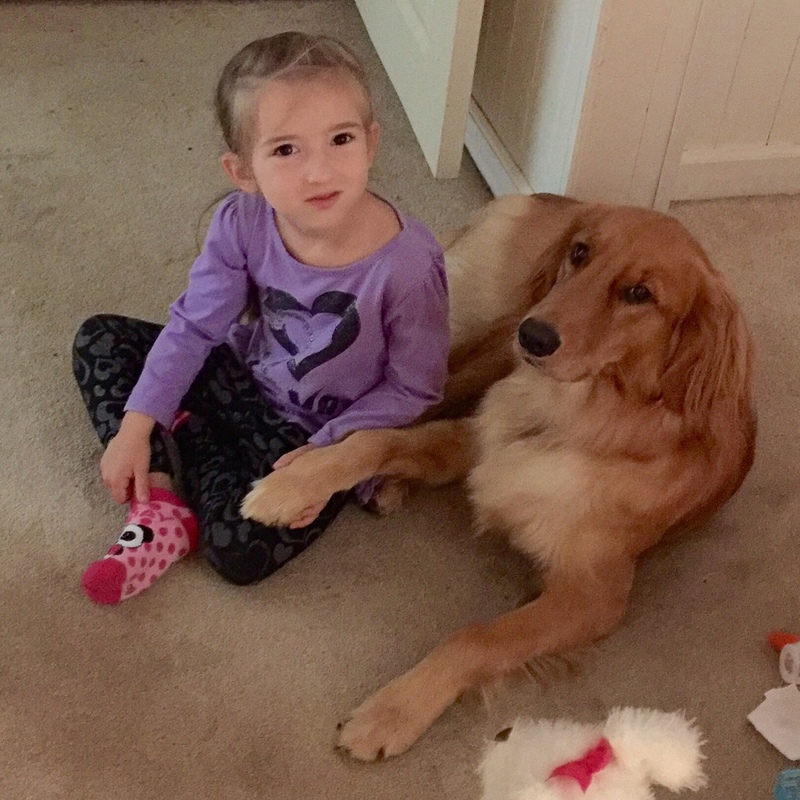 Kids and pets just go together, and I have found out the hard way moms do all the work. My kids did not help much when they were home, and now they are at college. Do not get me wrong; I believe every kid needs a pet. A PET, not a house full! We currently have two dogs after loosing my baby girl last November. Our oldest dog is an 8-pound toy poodle. He will be 18 years old this year and requires so much work. Every morning we wake up to a huge mess. He has to be hand feed and pick up and taken outside because he cannot walk. We have had so many animals over the years including fish. Our Betta fish did not survive hurricane, Katrina and everytime my son sees one reminds me that I owe him a fish. We could not take it with us. That was over ten years ago, and he is in college. Moms just cannot win! What we will do for our kids and animals. I too LOVE Petsmart! What would we do without all their help, products, advice and grooming services? Best wishes with your fish! I killed our betta fish. I never had time to clean the tank. Poor thing…I need to take your advice! Aw, Kristen, I am not going to lie, but I have also killed my fair share of fish in the past and that is why I had to do my research better for this time out now! So cute! We have had a few Betta fish! They are beautiful and it was always sad when they went to the big fish tank in the sky! right now we have about 7 tropical fish but I would totally think about another Betta one day. Great pet to start out with. Thanks for the tips! Pretty amazing that these fish actually come to know their owners! My sister had one of these fish when here girls were little and I think they all really enjoyed it. I only had goldfish, but they lived a pretty long time. We also had 2 of those frogs that live in a fish tank of water – that is a long story! Aw, he’s a gorgeous colour! We had a beautiful blue betta for years who was originally the centerpiece at a friends’ wedding (cool idea right there – fishbowls with glass pebbles and bettas in her wedding colours!) We named him Eddie The Eagle The Fish after our favourite Toronto Maple Leafs goalie (there’s an age test for all you hockey fans). We actually had him in a communal tank – they will live happily with smaller schooling fish like neon tetras. Enjoy! Thanks for this! I had a betta fish in college and managed to kill him within a week It was so sad and I felt like such a failure. It’s good to recognize what I could have done differently in case the kiddos want one someday. My son loves his fish! This is awesome – and so informative. My oldest daughter will have to care for a “small living animal” next year as part of her science curriculum. I’ve been considering a fish because it’s just so much easier than a hamster or bunny. It may seem odd, but I pinned this to my Deliberate HOMESCHOOLING board for future reference. We have one that we have kept alive for a year. I can’t believe it. We’ve never tried Bettas. After successful runs with goldfish, we traded up and went for mollies and platys. The mollies proved too tough to keep up, but the platys – and danios – are living the good life now. Good luck with your fish! Wait, what’s his name? This brought back so many memories. I had a couple betta fish in college, though sadly they didn’t last too long. Looks like your daughters are doing a great job with this one. Hopefully it will last quite a long time! Oh no…. I cannot do this…haha! I killed a whole tank of fish once! Our fish tank has gone through a few changes. We got some advice from a less-than-helpful pet store person who told us that a Tiger Barb would be okay with the rest of our fish. Turns out he beat them all up! We took him back and got a snail instead! I’m sure you will all enjoy your new addition to the family. Great idea for the girls to enjoy another pet. And this one doesn’t require walking! Have fun…..lots of love…..
Ohhh so cute! I remember I’ve always wanted to have a pet fish. When I was a kid, all my cousins have big aquariums and colorful fishes and I envied them but I never really had even just one pet fish. Hehe. For sure your girls are thrilled! I actually can’t believe that you just posted this. I just told my little that we would get her a beta for her bedroom. That is too funny. I will bookmark this for later. So I told Cass we needed to talk to it A LOT and encourage it every day. lol. She sobbed and sobbed. It was traumatic for us all. Seeing your post, makes me want another one. They are such cool fish!! I’ve had the worst luck with fish. Why? I don’t know, but it’s been so bad I won’t even consider fish. As for that lab…now that’s another story. quite honestly I am a TERRIBLE fish keeper, I had a few as pets when I was a kid and I couldn’t do it, they all died 🙁 I wish I could have done better!! Aw, that photo of Elsa just kills me. She’s adorable. Linz will tell you that she had a betta fish she was quite fond of, and he lived for awhile. Sam. It’s nice to share tips for a good life because pet loss is always hard for kids. And parents! I’ve thought about getting just the one betta. Even though I’ve managed a full tank I am scared of getting just one fish. I’ll refer back to this post if I ever take the plunge. I’m giggling about how pink that tank is. Aw, I was totally picturing your girl saying this and sadly fish have a way of either outlasting them all or sadly not making it at all. Sorry to hear that hers was the latter case. We had bad luck with fish but the tanks sure are pretty to look at. Congratulations on your new family member, Janine! Aw, thanks Kristi and Like I said earlier totally had our fair share of not so good luck here with fish in the past though, too sadly. What a beautiful fish! Good to know about them being aggressive toward each other if we ever get one. Thanks Bev and I know the aggressive behavior is something to definitely keep in mind. I had a Betta fish when I was growing up. Um…I can’t tell you exactly what happened to it – I have no idea! LOL. I do know that it didn’t live as long as I thought it would. So…when I got older I tried goldfish. They were a little more…I dunno…interesting for me to take care of because they grew so big. LOL. Let’s see how it goes. Thanks for sharing your experience!